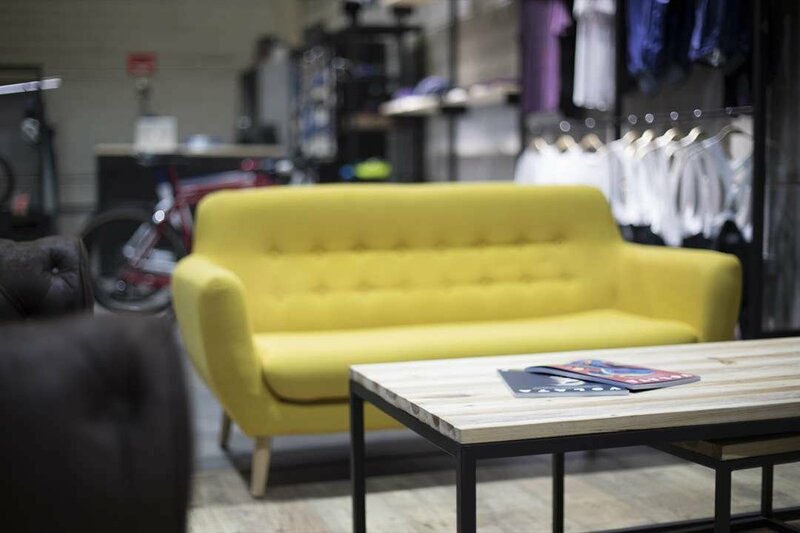 The Showroom is the place where everything happens around The Draft: Custom made bikes, Club, Workshop, Training and much more. 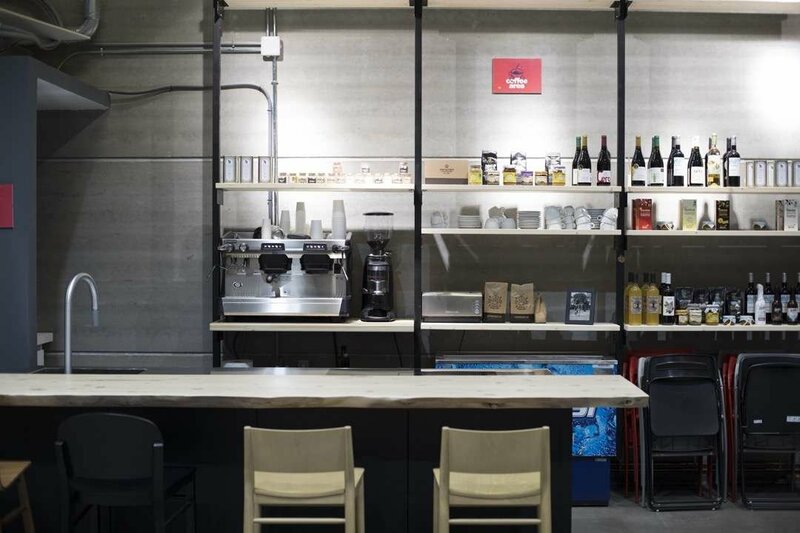 Designed to be the meeting point where you can wait for your friends while enjoying a good coffee. 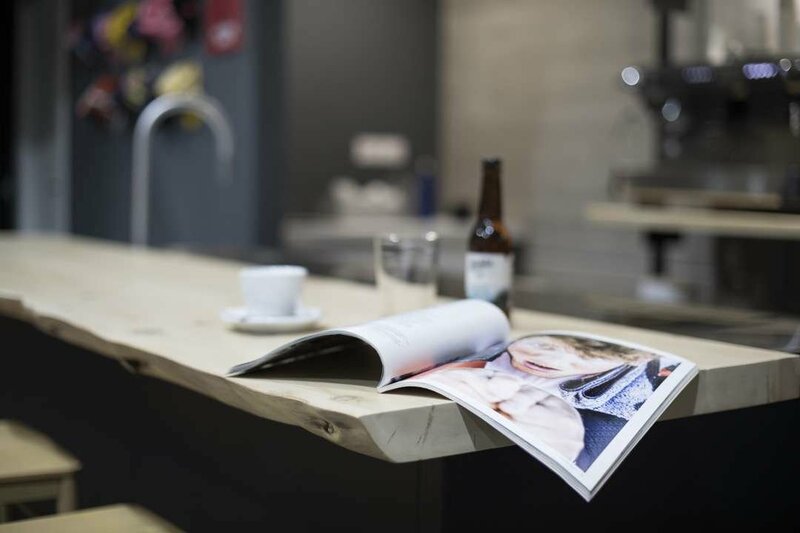 At hand you will find numerous books and readings regarding the cycling world. And equipped with TV so you can watch all of your favourite UCI Pro Tour races. An area particularly fashioned for you to relax before and after your rides. 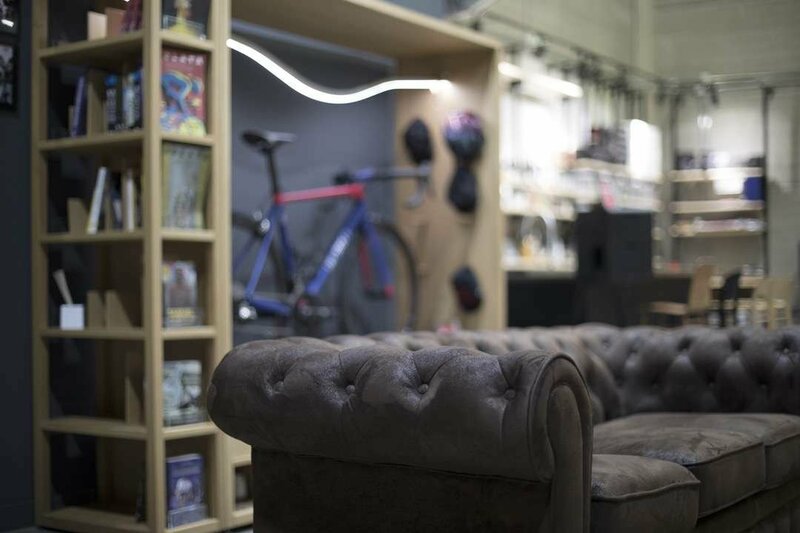 When we initially designed the different areas within the Showroom we truly believed the Workshop had to be a very special part of it, therefore we decided to both design and build the area ourselves and always keeping in mind your bicycle receiving the best servicing. 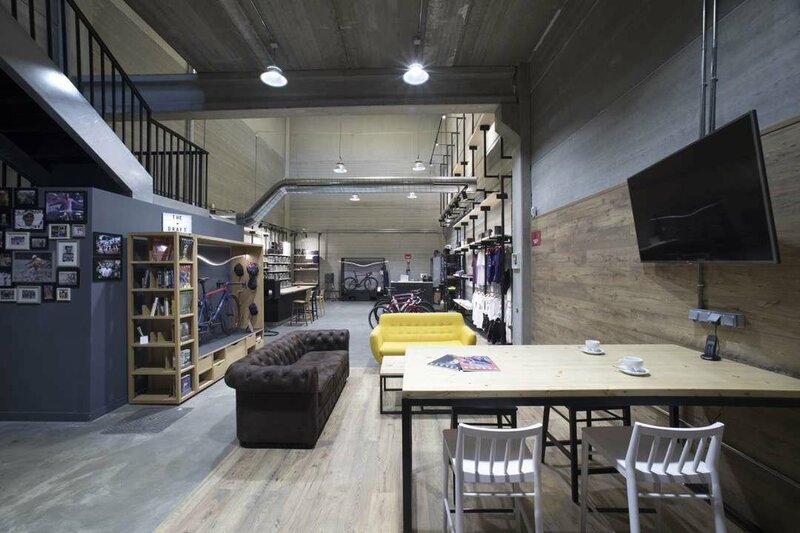 A private workshop, exclusively available for The Draft bikes assembling and Club members alike. 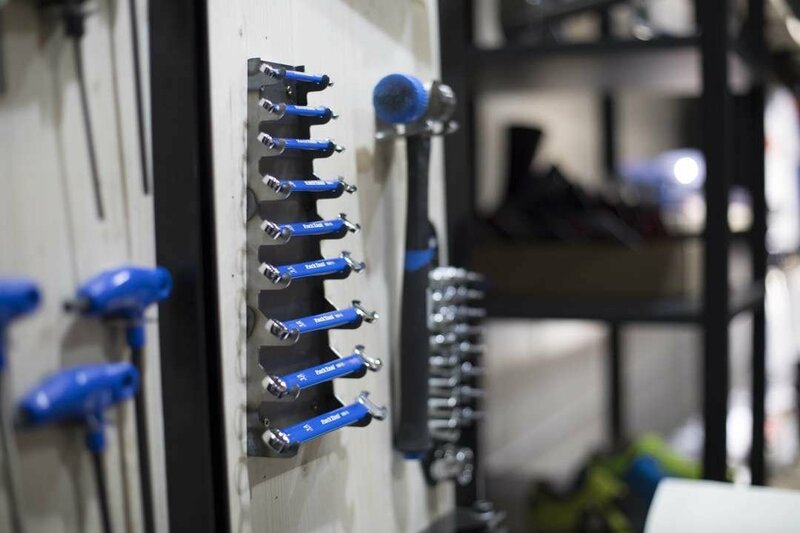 Fully equipped with Park Tool tools, washing area y customized work bench. If we hadn't been clear enough about how much we love Italian stuff, we couldn't just pick anything for our kitchen and cooking area. 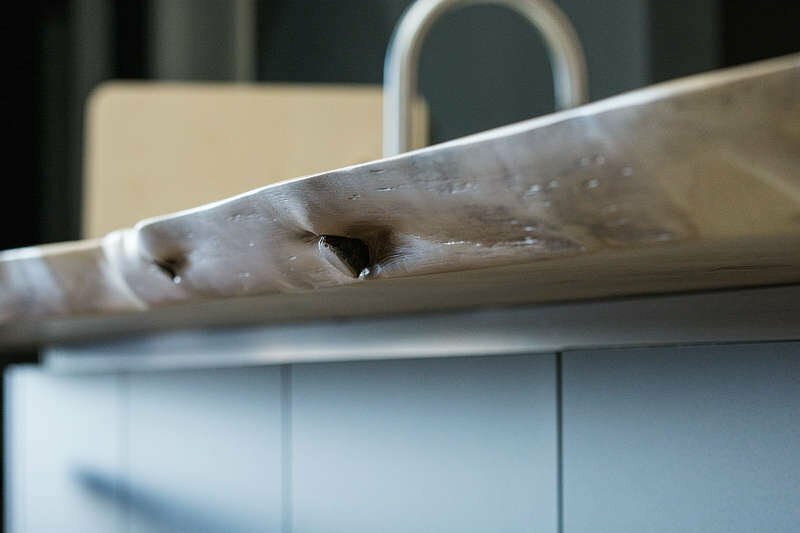 Therefore, we allied with the prestigious Italian kitchen manufacturer Veneta Cucine. 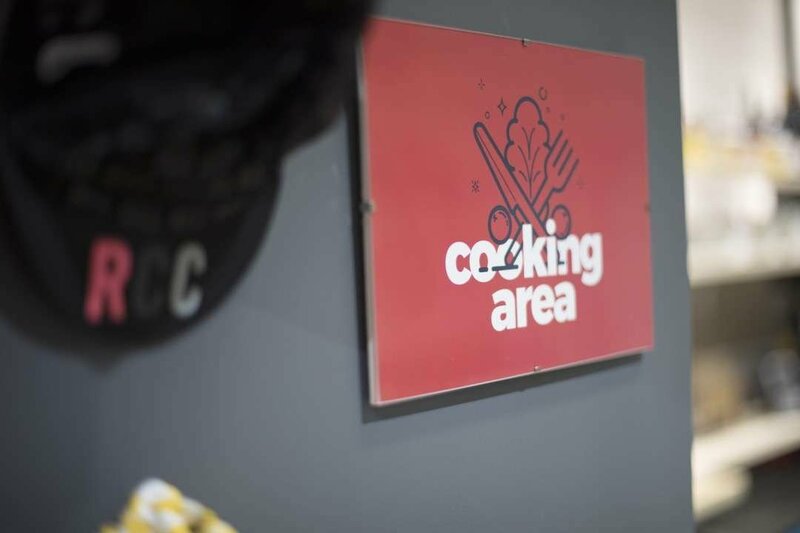 An area purposely configured to bring in the best chefs specialised in cycling nutrition so that we can offer you workshops and cooking classes on this subject. Naturally, we couldn't forget about our Coffee area, where customers and Club members can savor a good coffee before or after the rides. So now you know, don't think twice about dropping by for a visit, coffee is on us!. 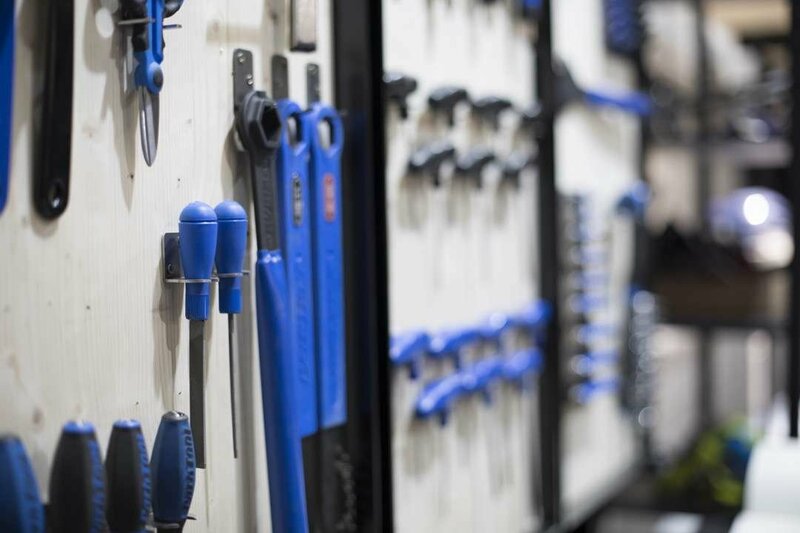 We believe not only the machinery is important, but also a perfect bike fitting, an intelligent training program and equally a healthy diet play a critical role to get the best out of you. With this idea in mind we have constituted a "performance" team who will help you focus and progress on each of those three key elements so closely related to your performance on the bike. We all wish to ride faster, climb effortlessly or simply suffer less... Whatever your discipline and shape are a good advice is to get yourself in the hands of a professional in the subject who will guide your progress through planning, scheduling and personalising your training routine. 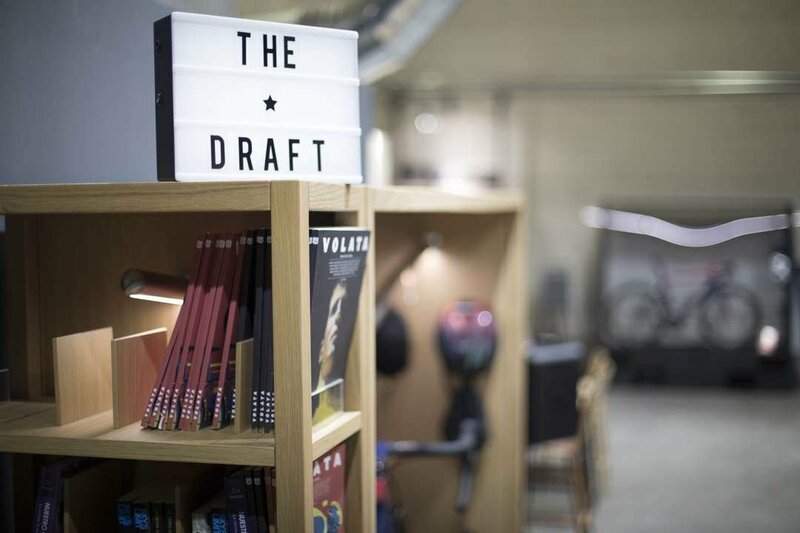 If you would like to get in touch with our personalised training team, send us an email to entrenamiento@thedraft.cc. Ideally aimed at cyclists who are suffering from cycling-related discomfort and pain or seeking methods to avoid getting injured. Also helpful for those who are about to get their hands on a new bike and need to get the perfect set up for their size and body geometry. 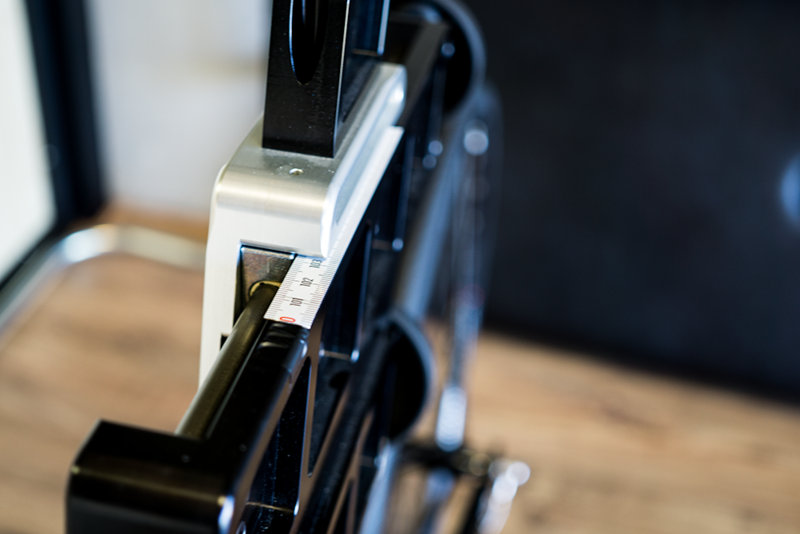 The study is carried out using the analysis bike bench which will let you feel the bike even before acquiring it. 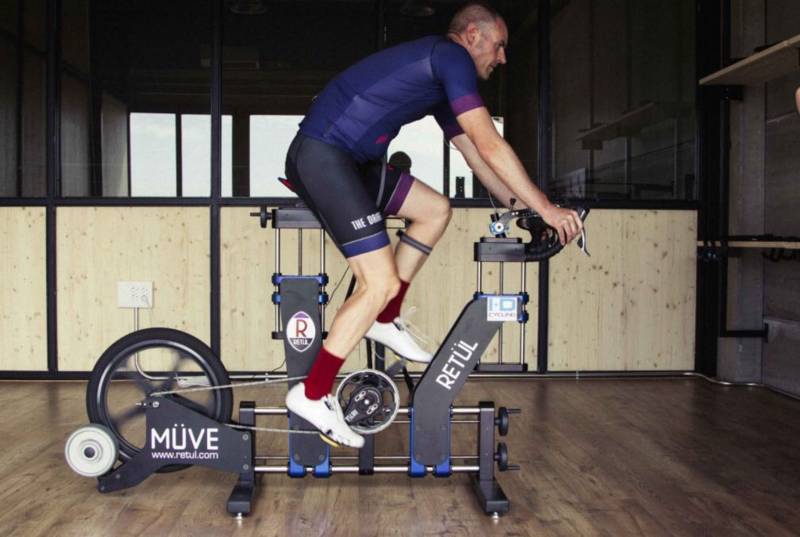 We make use of RETÜL's 3D system to undergo the study, replicate the saddle's shape using GEBIOMIZED pressure system which guarantees a perfect support, and at the end handing you over a report with your ideal bike fitting measurements and data. 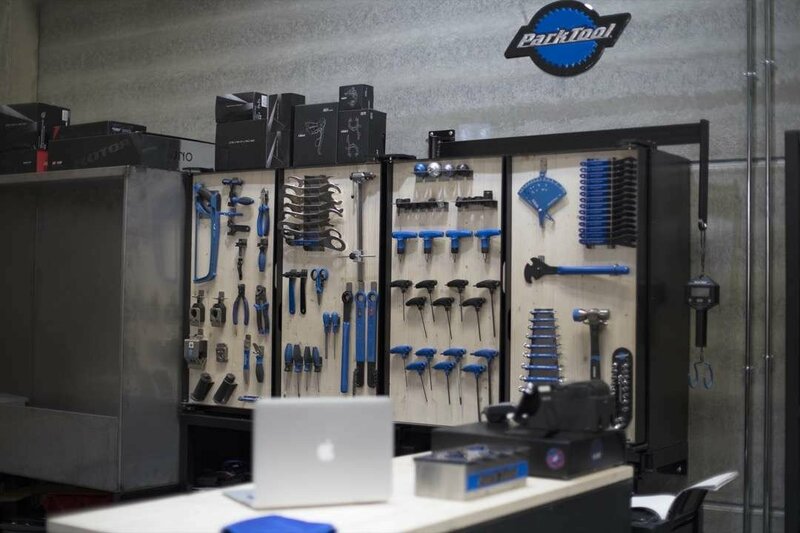 If you would like to get in touch with our bike fitting team, send us an email to biomecanica@thedraft.cc. Nutrition plays a key role, not only for physical exertion but also for being able to live a healthy life. Nutrition and physical exercise are closely related as without a proper nutrition we could not achieve our maximum performance. We understand and analyse each of the cyclist' goals in order to help improve the health and the performance on the bike. 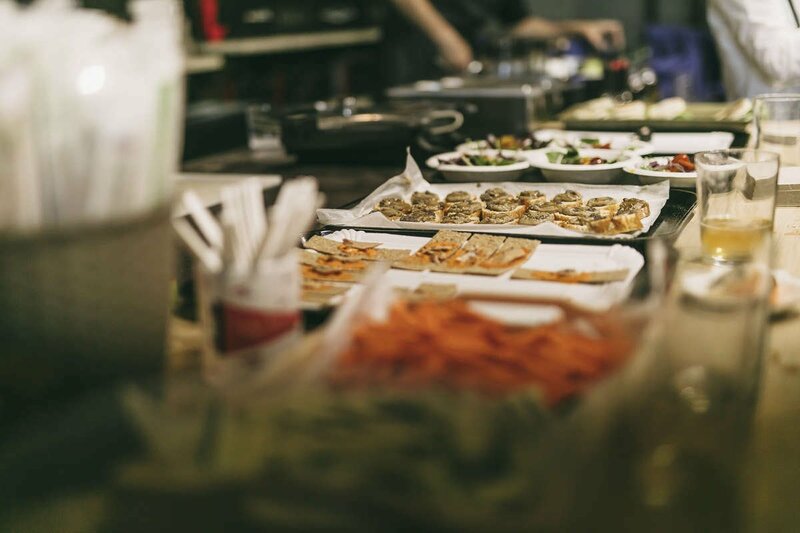 If you would like to get in touch with our nutrition team, send us an email to nutricion@thedraft.cc.